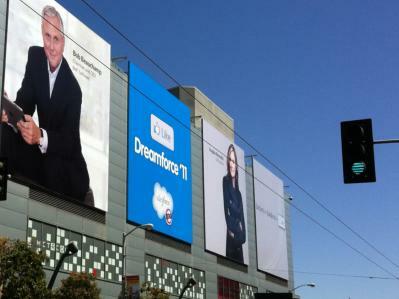 Dreamforce 2011, what’s to like? There’s bound to be much to ‘like’ (if that’s your thing — as I mentioned yesterday, I don’t have a Facebook account but I will be posting occasional tweets). As well as observing, I’ll be participating as a speaker this year, appearing at a session with SnapLogic called Integration is Dead: Connecting the Cloud to Your Business at Warp Speed [disclosure: a paid consulting engagement]. I’ll be talking about a phenomenon I’m calling the ‘connection imperative’, which is a consequence of the wider, cloud-enabled trend that’s sweeping away many of the barriers to interaction in business and creating a demand for a radical new approach to integration. In the spirit of full disclosure, I should also mention that I’ll be wined and dined during the week by many of the vendors I work with and write about, including Workday, Get Satisfaction, NetSuite, Appirio, SnapLogic, SAP and others. These will of course be business encounters just as much as they are social, and I look forward to sharing with you here what’s of interest from those discussions over the coming days and weeks.